This whole idea of God “turning up the silence” came to me recently. A friend and I were talking about why God doesn’t seem to talk to us more clearly. Then I was noticing in scripture about how we are to call on him, and it’s his role to listen. He’s already spoken through his creation, word and spirit. But I’m wrestling with the same thing about listening and discerning God’s plan for me. As for the question about God speaking to us, one of the things I’ve realize in the last 6 months is that scripturally it’s more our role to call to him. We always talk about us listening to God and Him speaking, but more times in scripture it’s the opposite – us crying to him (in worship or prayer or for salvation or for redemption) and him “turning his ear” Psalm 116: 1-2. He speaks through salvation and redemption and the work that is done, not always in words. 1 To you, LORD, I call; you are my Rock, do not turn a deaf ear to me. i love equations (ok – that’s not true) – these notes are from Craig Groeschel’s first talk @ the buzz conference. These are not exact quotes, but pretty close. Some good thoughts from Craig. You can read his blog here. a lot of times we say we can’t pull something off, because of limited resources. Craig believes that it’s more tied to our passion for something than it is to our resources. And claiming limited resources is just a lame excuse. True passion for something will overcome resources in an innovative way. in the church world today, we need to stop whining about what we don’t have, see what we do have and become more passionate. it’s not about getting more people into our church, but getting our church into the world – all of a sudden we will have exponential innovation. question – when is the last time you had a non-believer in your home? every great movement of God started when someone “turned right” – Martin Luther, John Wesley, Bill Hybels. question – what is God calling you to try that no one has done before? What new thing is God calling you to create today, that God will use tomorrow? John 3:30 – John the Baptist – prepare the way, I must decrease, and he must increase. We must become less impressed with our latest creative idea, and becoming more focused on us becoming less. The whole idea of a an individual mega-church is ridiculous. Every church is micro compared to the population around it and what God will do with his church. how big is the gospel?, how revolutionary is it…in my life? A revolution (from Late Latin revolutio which means “a turn around”) is a significant change that usually occurs in a relatively short period of time. I got two “jersey” cantaloupe yesterday, and one is already gone. And Lib doesn’t even like cantaloupe or watermelon, or ANY type of melon, crazy! But Eli and Eden helped me finish one huge “jersey” cantaloupe in one day. That’s pretty impressive, we were like a team. I’m proud of them. It was great, Eden kept calling it pinealoupe – she’s used to having pineapple. did you just say, some side on the sauce??? at this point i just play it cool, because after all – i am cool, so it’s never a problem to play it cool. i can’t remember what happened next, because when i go into “play it cool” mode i can only focus on the cool. but i think i came out on top. and i did feel better. and i think she felt better too, because she started to laugh. in fact i was feeling really great at this point – my day had finally turned to the north. but then libby pointed out the obvious. she said our waitress was cute. or maybe i pointed it out – i can’t remember. my memory is a little selective. she claimed i was flustered around the waitress because of her cuteness, hence the above blunders. i think she’s way off, way way off. later eden dropped her hot dog, and i stepped up to the plate and asked for a replacement hot dog – i said it in a very cool way, so all was good. and all is good now. yesterday (7/8/2007), God spoke to me. at least he got my attention. he told me to pray for my friend…at 5 am – every day for the next few months. so this is how it went down…eden woke up at 2:25 AM – i hear her call “daddy! 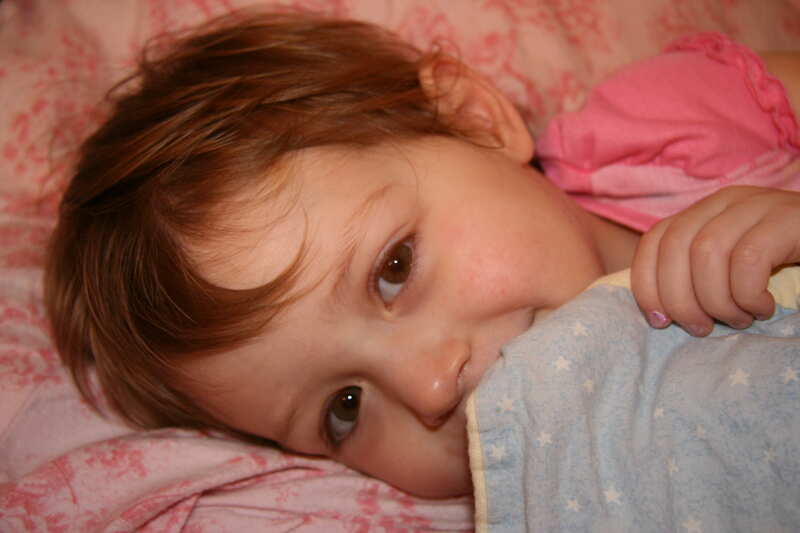 daddy!” – when i went to her bed, she wasn’t crying, but said she was scarred. i prayed for her and reminded her that God is protecting her right now. so after i prayed for eden, i prayed for jon. at this point i’m feeling like “the man” again because i prayed in the middle of the night and even remembered my friend, but i didn’t do it exactly like God told me to. i went back to sleep, 5 AM came and it passed, with no great occurrence. this small experience with God has again reminded me of my fear. the fear that i’m not quite able to fully follow him. i know that God will continue to work in my life, and everyday is a new experience with him. he’s becoming my obsession. but i’m still holding onto way too much fear. still not willing to put the big things completely in his hands. i fear for my friend Jon, of what he could lose, or what his family could lose. i fear what might be, or what might become. there’s bright hope for tomorrow (morning) – for a chance to lift hands, to bow and to pray for him again. i’ve still got one month to be patient to wait to listen to not do something with haste.